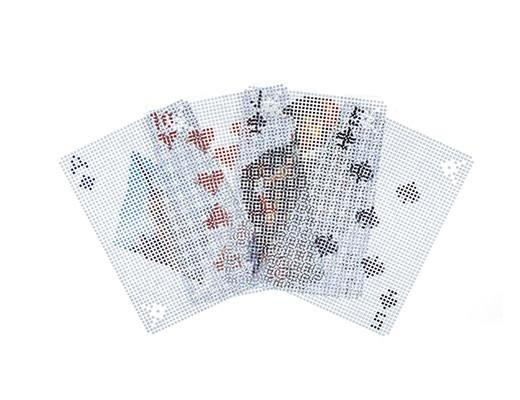 Poker-size playing cards with a pixel design. The pixels are separated by a transparent grid. 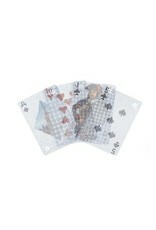 Moving the cards creates optical effects.